I am one of those people who wants to do everything myself. I have an idea and a one track way of getting that locomotive to the next station. I’m not a know-it-all by any means. It’s just easier to do things myself rather than try to explain what I’m looking for and invariably be disappointed when that train derails. This may make me sound like a textbook control freak but, honestly, I like things done correctly… in an orderly fashion, on time and on budget! I come by it honestly. My Mother is the same way and my sister doesn’t fall too far from the perfectionist tree either. In fact, growing up, I recall her obsession with ironing her sheets before making her bed. Striving for this high level of perfectionism served me well for years but lately I’ve been second guessing myself. Maybe it’s because I have too much on my plate and I’m realizing I can’t do it all or maybe I’ve discovered there is something more menacing lurking in my personal tactics. I realize now that this “do it myself behavior” is nothing but a result of fear… fear of failure. Fear of what I might come face to face with if I stopped doing and listened for just a moment. In the last year, I’ve had two back surgeries with the possibility of a third one lingering on the horizon. 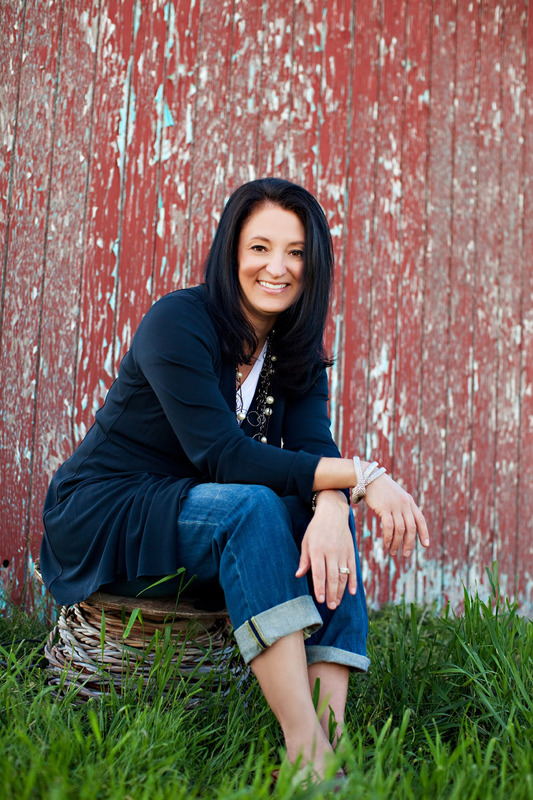 I wasn’t at all surprised when my doctor told me I have degenerative bone and disk disease – actually it’s a genetic gift from my Mother’s side of the family, something I’ve feared for years. Simple things like grabbing a gallon of milk from the refrigerator can throw my back out of commission for days. It’s hard to function as a control freak when you are laid up in bed. Then, as if out of nowhere, a voice in my head spoke loudly and clearly, “Ask for help!” For the first time in years, my eyes and ears opened to the people surrounding me and clarity rushed in like a raging river in spring. I realized I was trying so hard to control and hold on to so many things that I didn’t have the energy to enjoy the parts of my life that I love. And you know what else? People come to life and really go after it when I take a step back and give them space and encouragement. It’s a tough pill to swallow but, letting go of things I’m not meant to hold on to has allowed me to enjoy the things I was truly meant to do. train in on time. It’s hard to describe the confidence that comes with letting go and finding joy in being a small piece of a big puzzle… and really, that’s all I need! 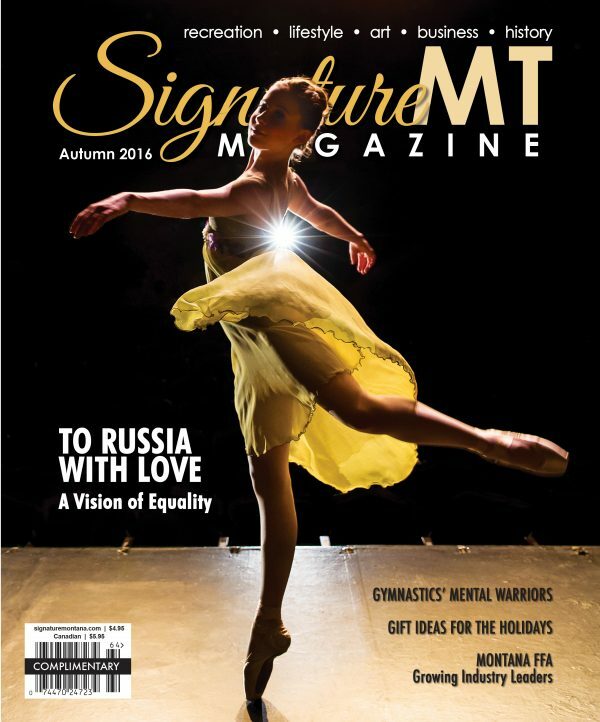 This issue of SignatureMT showcases a handful of confident people forging paths of passion, while some look back admiringly at the paths they have forged, all of course, surrounded by people of encouragement, strength and integrity. Enjoy this summer season and may you too find the confidence to explore the things you are most passionate about. Like Oprah “loves bread,” I love spring! While wandering through months of darkness, as the cold clutches the earth and trees raise their bare branches to a somber gray sky, I think where is global warming when it’s needed? But, at the doorstep of worn patience, spring bursts forth, much like the first movement in Beethoven’s Fifth symphony. The first four notes are like a knock on spring’s door, summoning its awakening –Da-da-da-daaaa, followed by a sort of urgency and foreboding for earth to come to life. The birds begin to sing, banishing the silence of winter. Misty-eyed cubs rouse from a long slumber while playful fawns prance among the wildflowers in the meadows. Snow-capped mountains release a winter’s bounty that swell the rivers while the pitter patter of warm rain cleanses the land allowing earth to release its shackles on the seeds below. The glisten of fresh dew, the smell of sweet fragrances and the early morning hum of a lawn mower speaks of a day full of triumphant celebration. What other season rolls out the welcome mat in such colorful, formal attire? When you think about it, summer has it pretty easy… maybe that is why it is referred to as the “lazy” days of summer. 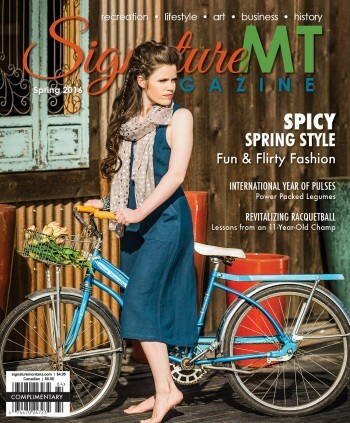 SignatureMT rolls out its spring welcome mat with a lineup of fresh and colorful stories. 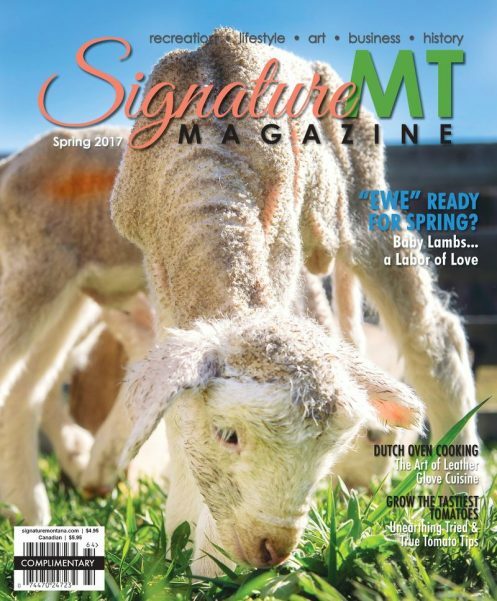 We begin with a labor of love as writer Shane Klippenes takes us on an overnight adventure to a historic stock operation just south of Great Falls, where ranchers prove their mettle through minor irritations to life-threatening emergencies during lambing season. And, delving deeper into Montana’s number one industry, we explore how women are breaking the glass ceiling and making huge strides in a career field traditionally made up of men. Gardener Amy Grisak, provides some insightful tips on how to grow the best and most treasured fruit of the garden, the tomato! Great Falls author, Ryan Acra, visits with us about his new book and how his super hero concept combined with humor and sharing the gift of laughter is challenging students, in grades three through six, to think outside the box when it comes to problem solving. And, have you ever wondered how Montana ended up with such a patchwork of unique counties? Writer Michael Ober takes an in-depth look at historical maps and discovers how the peopling and populating of Montana can be told in the origins of its counties. Join us as we take a trip down “Memory Lane” with World War II Hatch Gunner, Edward Maierle, as he recalls his days of service and reason for enlisting in the U.S. Navy. 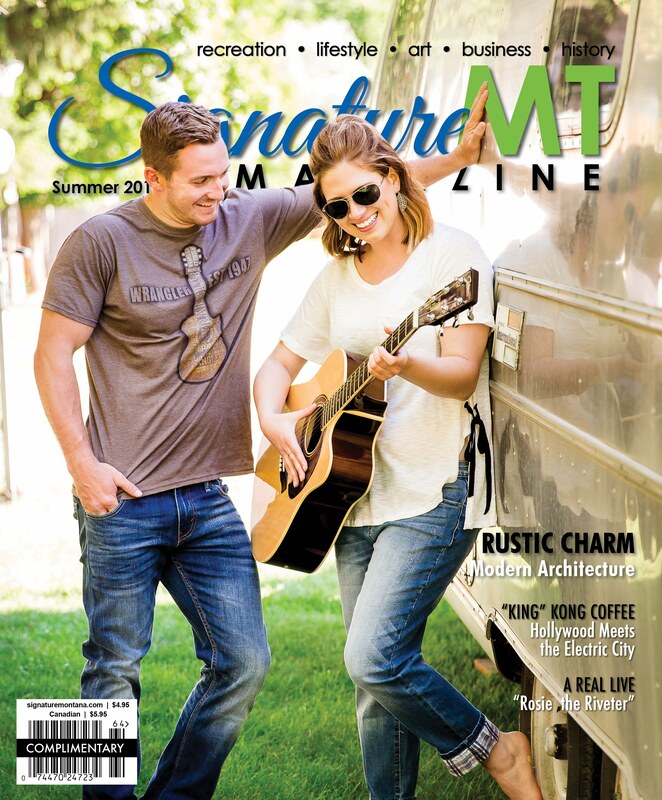 These and many more stories await in this issue of SignatureMT. Remember, as the majestic fanfare of spring unfolds and the revitalization of life perpetuates around us, take time to step outside each morning and see the glisten of dew on the fresh cut grass while embracing the possibilities and work that can be done. 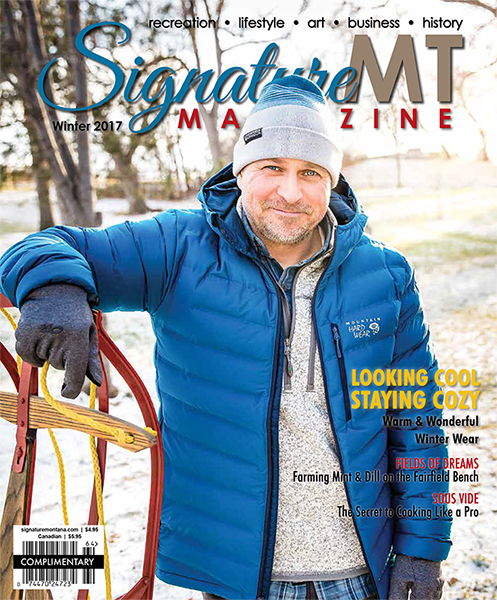 Then, as the dying light speaks of the day’s many accomplishments, sit a spell and allow the last hours to be enjoyed in relaxation and, of course, with the spring issue of SignatureMT in hand. I am not really one to make New Year’s resolutions, not because I think they’re pointless, I’m just not a fan of the hype surrounding quick fixes for happiness, weight loss, or twelve-step behavior modification miracles. This year I’m going to make an adjustment to my life metaphor. We all have a life metaphor; a lens through which we view the world. This deeply held, unconscious belief determines how we experience everything that happens within and around us and is a powerful determinant of happiness and contentment or stress, depression and anxiety. The New Year can often bring a mixed bag of emotions and memories for many of us. Some may have experienced a year of joy and healthiness and look forward to an even greater one emerging ahead. Others may have journeyed through one hardship after another. This year, I’m refocusing my metaphoric lens so that I can view the world with a greater conviction for hope. As I write this autumn letter, Central Montana is enjoying a cool spell – a respite of sorts from the dog days of summer. I love to think of autumn as the most civilized season, when the violent storms subside and the mercury relaxes to a cozy warm during the day and a welcomed chill at night. The days wane, the nights close in and the brilliance of autumn pours over the landscape in orange, red, yellow, gold and all the hues in-between. Subtle notes of caramel, apple, pumpkin and wood smoke permeate the air. Stewards of the earth celebrate the bounty of the harvest while birds begin their migration to warmer climates and animals gather food in preparation of winter. Football kicks off and seasonal treats make their debut —and there is nothing that screams fall more than breaking the seal on a fresh bag of Brach’s candy corn. Yum! I often forget how relaxing fly fishing can be. Perhaps it’s because I don’t get to do it as often as I would like. I recently spent an early morning fly fishing the Smith River (I call it my “happy place”) …just me, the wind rustling through the trees, and the music of the dancing water. The truth is I find my strength through fly fishing. I’m not being dogmatic by any means but life is so cluttered with one daunting task after another that time for reflection or meditation is often cast to the wayside. Fly fishing offers a challenge of leaving the day-to-day demands behind and allowing nature to set the pace. I adore spring! It’s like Christmas in March with nature offering up an abundance of gifts that quietly awaken and unfold before our eyes. From the budding trees, the blossoming flowers, the birds serenading from the treetops to longer, brighter and warmer days. Spring is green, gentle and alive. It’s the infant stage of the seasons of transition where innocence and purity resonates throughout the landscapes. It’s a season of hope and renewal that encourages months of optimistic dormancy to awaken while gently nudging the seeds of new beginnings to burst into fruition. How can you not love spring?